If you haven't come across Dr Bragi before they are a skincare company with a focus on marine enzyme technology!! Researched and formulated by the late Dr Jon Bragi Bjarnason, the products are said to optimise cell function thus keeping the skin looking young and fresh. No Glycols and various other nasties. The lists goes on.......all sounding great but does this formulation actually work? 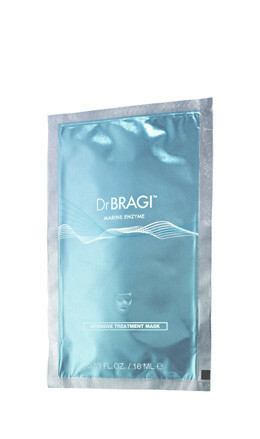 I kindly got sent a sample of the Dr Bragi Intensive Treatment Mask. The mask targets redness, signs of ageing, skin dehydration and loss of firmness. 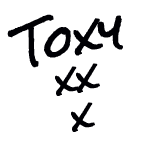 Now i did worry slightly that it may be a bit too oily, however once wiped away it simply left my skin feeling super soft....its also like my skin has had a massive drink as there was not a hint of dry skin anywhere...felt fresh, healthy and ready for the day....very nice indeed. Now this isn't the sort of product i would normally buy but i have to say the results are pretty damn good. If your fancying a skin treat or a 'at home' treatment before a big event then this little face mask is ideal. At £8.33 it isn't cheap for what it is...however i would say you could get at least 2 more uses out of it if kept in the packet. The face mask is available direct from the Dr Bragi site but also from other retailers such as Feel Unique and Bath & Unwind. For info on all their other products, news and updates you can follow them via Twitter and Facebook.